Even as House Democrats proceed with their strategy to subpoena the Mueller report, subpoena Robert Mueller to testify about his own report, and subpoena William Barr to testify about why he’s been lying about the Mueller report, a quirk of the schedule is about to ensure that Barr has a very bad day tomorrow. Various officials in the Executive Branch are required to appear before various congressional committees on a regular basis, as part the normal oversight process. Unfortunately for William Barr, he’s scheduled to appear before the House Appropriations Committee tomorrow. What does this appearance have to do with the Mueller report? Officially, nothing; this is supposed to be about the 2020 DOJ budget. But as one might expect, and as CBS News is confirming tonight, the Democrats who control the committee are indeed going to use the hearing to try to corner Barr over his obstruction antics. That means you can expect the usual routine. 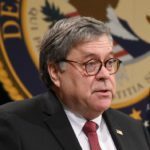 House Democrats will use their time to grill William Barr about what’s really in the Mueller report and why he’s trying to cover it up, in the hope that Barr will screw up and say something that tilts the subpoena battle in their favor. The Republicans on the committee will use their time to either complain that the hearing isn’t supposed to be about the Mueller report, or to spin phony pro-Trump conspiracy theories, or both. The bottom line is that, for the first time, William Barr will have his feet held to the fire over his attempted coverup of the Mueller report. We’ll see what specifically comes of the hearing, but tomorrow can’t possibly go well for Barr – and it’ll result in even louder and more aggressive demands for the Mueller report to be released.